Investing in a small printer lets advance business projects even when you’re away from the office. Small photo printers have been available for years, but traditional stand-alone office printers are now becoming more compact and portable. . A small printer can now fit in the palm of your hand and operate by being pointed at a PDA. Small printers using wireless technology can be taken to trade fairs, exhibitions and conferences and can fit easily in hand luggage, and documents can be automatically reduced in size for rapid printing. 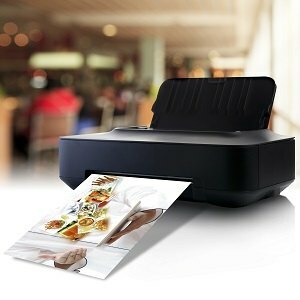 Even a small printer can handle demanding print runs and photo printing, so look for a photo printing feature which can handle different types and weights of paper and high resolution images (eg 4800x1200dpi).